The Dallas Stars announced today that they have re-signed restricted free agent Scott Glennie to a one-year, two-way deal. The Winnipeg native put up career numbers (15g,13a) in 50 regular season games. His play in the postseason was revelatory. He Potted six goals and four assists, including some big ones on a line with Chris Mueller and Dustin Jeffrey. Glennie will likely be in Texas this coming season but has a chance to break into Dallas if the right opportunity presents itself. This is 'prove-it' contract for Glennie. He's shown he has all the tools to do just that. 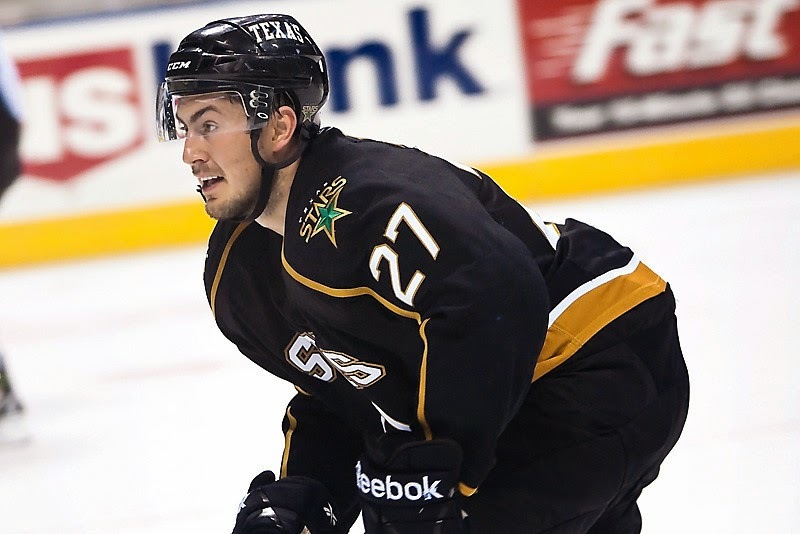 The 2014 Calder Cup Champion Texas Stars, proud American Hockey League affiliate of the Dallas Stars, announced today that Dallas has re-signed right wing Scott Glennie to a one-year, two-way contract. Per club policy, terms of the deal were not disclosed. Glennie, 23, scored a professional career-high 15 goals and posted 28 points (15 goals, 13 assists) in 50 regular-season contests during his third full season with the Stars in 2013-14. He also earned 10 points (six goals, four assists) in 20 postseason games during the team’s Calder Cup Championship run. The 6-foot-1, 195-pound forward made his professional debut with Texas on April 6, 2011. In 161 games, Glennie has collected 79 points (32 goals, 47 assists) for the Stars. The native of Winnipeg, Manitoba, was drafted by Dallas in the first round (8th overall) of the 2009 NHL Draft. 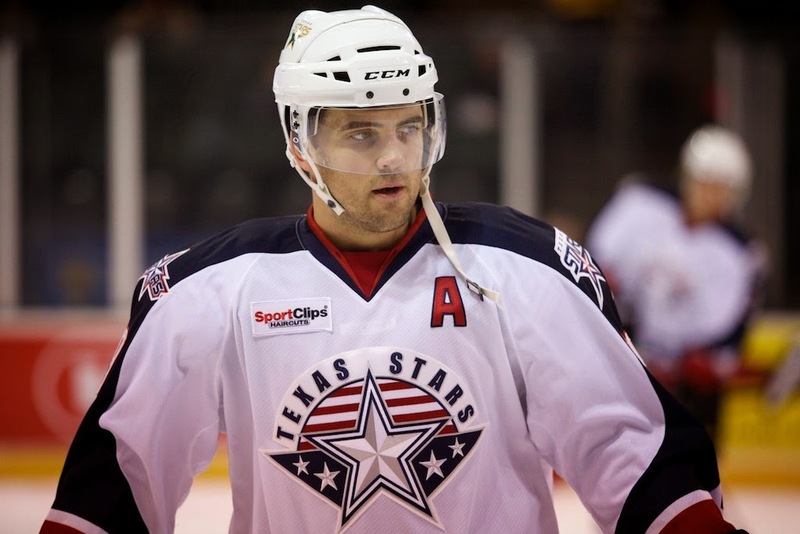 Could Greg Rallo Be the Texas Stars' Vet Forward Option? The Texas Stars could be going back to the well on a former player to fill the veteran gap at forward. Former Texas center Greg Rallo broke the news this morning that he would not be returning to the Florida Panthers organization next year. He was the captain of the San Antonio Rampage last season. Thank You Rampage fans for the last three years! Always made my Family & I feel at home. Great group of guys to be around everyday. After a very stressful July with unexpected twists and turns... I'm so excited about what's to come! Announcement coming soon! Rallo joined Florida after two years with Texas from 2009-11. It wasn't that Rallo didn't like the Stars. It was more that Florida offered a better opportunity to play in the NHL. The Panthers signed Rallo to an NHL two-way deal. The move paid off as Rallo eventually picked up 11 NHL games between 2011-13 with the Panthers. It was an opportunity he never would have gotten with the Dallas Stars organization. When Rallo was in Cedar Park, he was great for the Texas Stars. After putting up just 9 points in 55 games with the Manitoba Moose, he came to Texas on a tryout. After expecting to spend the season in Boise with the Steelheads, Rallo signed an SPC with the AHL Stars and tallied 44 points in 69 games. He added 10 points in the Stars' improbable Calder Finals run that inaugural year, playing many big minutes alongside Jamie Benn and Aaron Gagnon. Rallo returned for the second year, putting up even more offense: 54 points in 78 games. He parlayed that success into the Panthers contract. With the Rampage, he scored 42, 40 and 34 points in his three years. Has Rallo passed the biggest offensive numbers of his career? That's possible given his decline over the past three years. However, look at the teams he was playing on. San Antonio made the playoffs his first season there. It was also his best offensive season in the Alamo City. Probably not a coincidence. 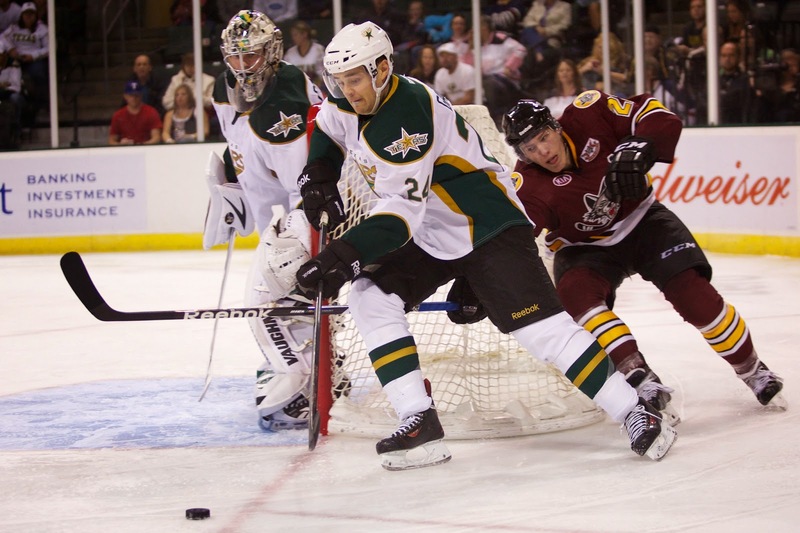 What role would the Illinois-born forward fill for the Texas Stars? He certainly would not be asked to step into the top six in the same role he had with the inaugural year Stars. However, he can still be a very effective player in an offensive role. He might be even more effective in the minutes he has when he is asked to play fewer of them. Rallo will be 33 by the time the season starts, which would make him the oldest player on Texas' roster. The current oldest, Maxime Fortunus, turned 31 earlier this week. Rallo could be extremely effective as a bottom six player who also has the upside to play power play, penalty kill and slide into the top six in case of injuries and callups. Between Mike Hedden, Chris Mueller, and Dustin Jeffrey, the Stars lost an entire line (all veterans) from their championship lineup. Rallo would fit nicely on the wing, possibly helping out the younger Taylor Peters and Branden Troock on the fourth line. He can take faceoffs for Peters when needed and has good experience to bolster his young linemates. Rallo would count as one of Texas' veteran players. That list already includes Travis Morin, Maxime Fortunus, Derek Meech and Cameron Gaunce. Texas may need to leave one of their spots open for Patrick Eaves to make it down after things shake out in Dallas. Signing Rallo wouldn't break the bank on veterans though. What makes it possible he would sign here? Well, for one, Rallo was spotted at the Cedar Park Center during the Stars' playoff run chatting with Scott White. Take that as you will, but it is certainly something. Additionally, Rallo obviously would like to win now while he is still able to contribute. San Antonio was a good place for him to get NHL games, but it was not a great place for winning. The Stars are setup to win now with the young core and the good feeling of a championship season still in the tank. The Texas Stars have re-signed a key piece of their championship push this afternoon, inking veteran defenseman Derek Meech to an AHL contract for the coming season. Meech joined Texas mid-season after playing the beginning of the 2013-14 campaign in Belarus. He earned his second Calder Cup with Texas and contributed veteran leadership on the blue line along with 3 goals and 8 assists in 21 playoff games. Seems pretty legit to me. Note that Ludwig Bystrom is headed to Sweden next year given this logjam at D. Texas could still sign another AHL D-man to fill the 7 role and allow Vance a lot of top pairing minutes in Idaho. This signing is big for the Stars. It helps to reinforce the stalwart defensive corps that Texas is known for. But it does create questions about the remaining veteran spots. Is there room for another veteran forward in the fold to replace what was lost with Chris Mueller and Dustin Jeffrey going elsewhere? Time will tell. The Texas Department of Motor Vehicles has announced that it will phase out 87 custom plates that have been sold through their partner MyPlates.com at the end of this year. The DMV is now requiring that each active plate have at least 200 users per year. 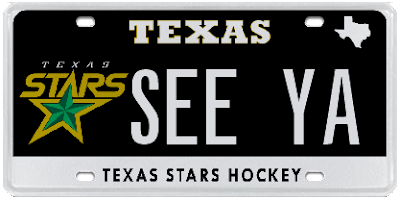 According to a source, the Texas Stars custom plate is currently at fewer than 200 users and will be among the plates that will get the ax at the end of the year. The Dallas Stars custom plate is also on the chopping block. According to the Dallas Morning News, MyPlates.com has added a $25 rebate for all orders of at-risk plates. The main driver for the change is that the customized and varied license plates create confusion for law enforcement. "I'm surprised they didn't get at least 200 plates," said James Mitchell, a Texas Stars season ticket holder since 2009. "I thought for sure at least 200 season ticket holders would order them." Mitchell recently changed over to vanity text on his custom plate reading '14 CUP'. He isn't worried too much about losing his plate though. "I ordered it for ten years." According to the Yale Daily News, four-year forward Jesse Root has been signed to an AHL deal by the Texas Stars. Grant Bronsdon first reported the story yesterday. It looks like Root will be an AHL/ECHL guy for the organization this season. 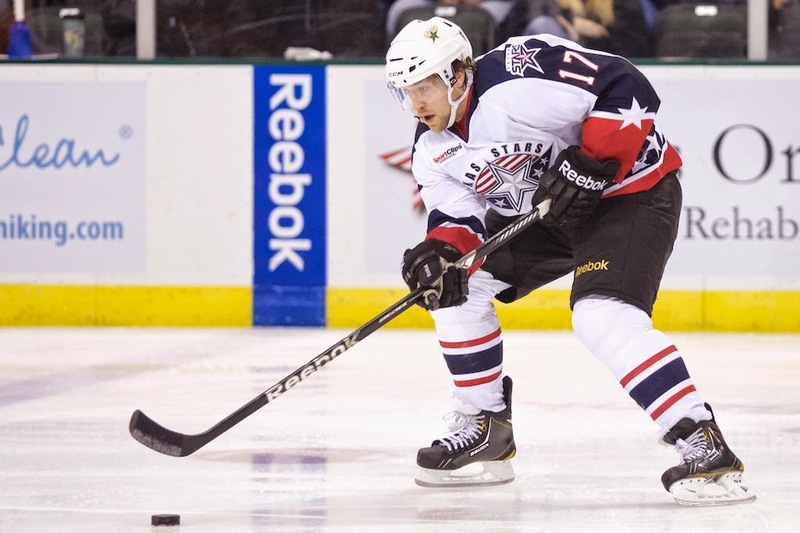 "Most recently, forward Jesse Root ’14 reached a deal with the AHL Texas Stars. The 2013-14 Eli captain will join last year’s AHL champion after spending the spring with the Bridgeport Sound Tigers on a tryout contract." The Pittsburgh native had a single goal in eleven games with the Sound Tigers on a tryout to end last season. Root led the Yale Bulldogs in points in his senior season with 14 goals and 23 assists in 30 games. In a bit of interesting news that I'm sure no one ever asks him about, Root's cousin is former NFL quarterback Dan Marino. 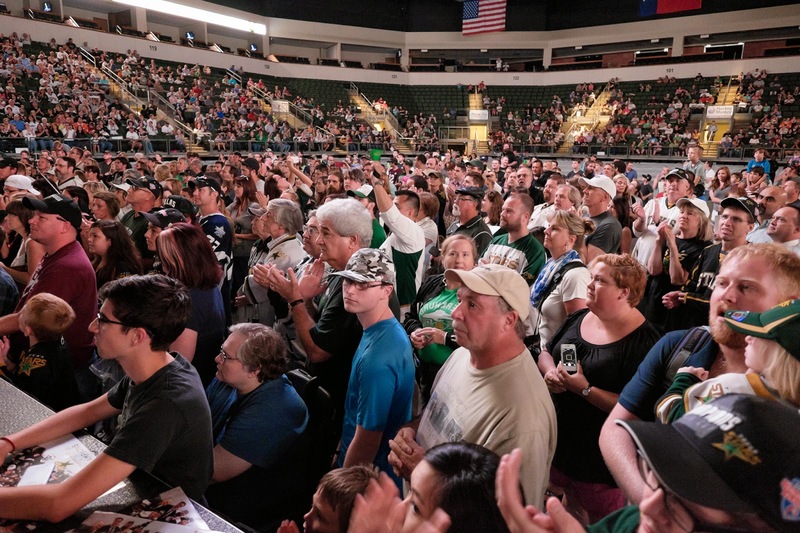 With the five year anniversary of the Texas Stars, the city of Cedar Park is also celebrating the five year anniversary of its 'crown jewel', the Cedar Park Center. The CPC hosted its premiere event on September 25, 2009, a George Strait concert. Since then, it's been a steady diet of concerts, basketball games, graduations, and of course, Texas Stars hockey. 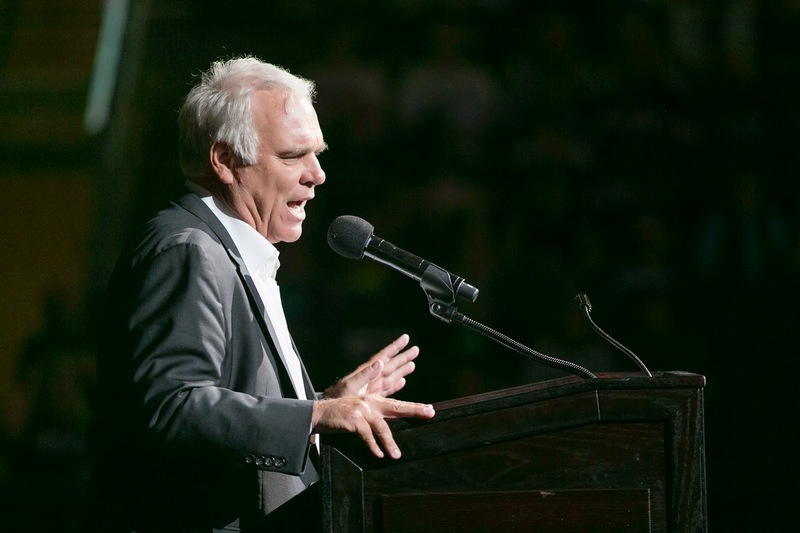 Phil Brewer, the city of Cedar Park's Director of Economic Development, was there when the whole thing started in 2008 and was on the stage for the victory rally last month as a city representative. "It's been a positive impact from the day we've opened the facility in terms of community visibility and recgonition," he said. "Every year they've grown the number of events." While a formal study of the economic impact of the center has not been commissioned, the evidence is there that the entertainment at the corner of 183A and New Hope Drive brings business to the Cedar Park economy. "Recently we hosted the Bluebonnet Open Figure Skating competition. It filled up the hotel rooms. We had over 200 room-nights used in Cedar Park out of a total of 360. Projects like that have a positive impact on the community. Others come in, like Cirque du Soleil. Most of those performers stay in Cedar Park, eating in our restaurants and shopping in our stores, having a positive impact on the city and community." Cedar Park is the fourth fastest growing large city in the country and that growth is bringing a lot of business into the city, including the new Costco, In-n-Out Burger, and Walmart Super Center. Future developments where Texas Stars fans can look forward to spending their pre-game meal dollars include BJ’s Brewhouse, a new Chipotle, and Lupe Tortilla. From the hockey side of things, the Dallas Stars are very happy with the relationship they have with the city through the Cedar Park Center. "You couldn't have hoped for more," said Dallas Stars president Jim Lites. "We started in 2005. To see how the community has grown toward it, the success we've had, the crowds, how [the media has] been. Everything we wanted to create in Cedar Park has occurred. "Players want to play here. Guys want to manage here. Coaches want to coach here. It's about winning. It's 3 hours from Dallas. The guys get down here and the players know we're watching. It really matters." As part of the agreement that brought the Texas Stars to Cedar Park, Hicks Cedar Park LLC had the option to purchase the 17 acres of land around the Cedar Park Center for development. Brewer confirmed that the company had exercised the option last fall and purchased the land. "When the center opened in 2009, the economy was not the strongest it's been," said Brewer. "It has been a really matter of waiting and being patient. We don't want to see any development happen in front of the center if it's not quality development. It needs to enhance and be part of the theme in that area. "The Hicks folks have been working on site plans and layouts and we've had some meetings in regards to that. They are looking for the right partner. That is the plan with restaurants, retail and maybe even office space and a hotel." Texas announced today that they will play a short preseason schedule, consisting of just two games. Both will happen the same weekend at home, sandwiching the Dallas/Texas game on Saturday. Familiar opponents Oklahoma City and San Antonio will visit on Friday and Saturday respectively. Friday's game will be at 7:00 PM, earlier than usual for a weekday game. Sunday's game will be a matinee at 3 PM to complete the 3-in-3. The Stars have played either two or three preseason games in each season in Cedar Park. They also played two preseason games last season. The whispers and rumors of the last month were verified this past week when Jim Lites confirmed that the Dallas Stars would be visiting the Cedar Park Center for a practice and scrimmage as part of their preseason training camp in early October. The Stars will open training camp in Fort Worth, as they did last season, and then play a slate of preseason games. 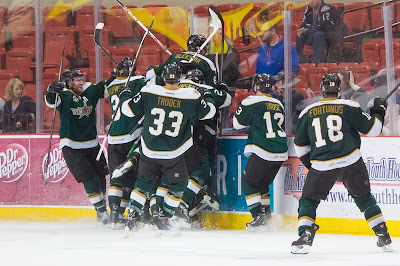 After their final game on September 30th, the club will head to Cedar Park for a practice on October 3rd and a scrimmage between the Texas Stars and Dallas Stars on October 4th. Lites noted that both teams will be taking the game seriously and it will include referees as well. 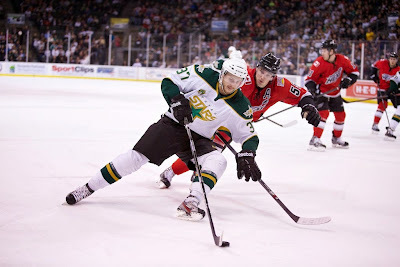 It's a great tune-up for the AHL club as they start their schedule and helps Dallas keeps its legs under it during the week between the end of the preseason and the start of the regular season. One player remains in Dallas from that roster. The names above have been replaced now by names familiar to Cedar Park fans: Sceviour, Roussel, Garbutt, and Eakin. That doesn't even include your defensemen, who weren't listed in gamesheets I could find. The game also helps to reinforce the 'team of the Southwest' message that the Dallas Stars are pushing. This game, combined with yet to be announced marketing events around it, will help raise the profile of the NHL club in Austin. News broke quite late on Friday that Cameron Gaunce had been re-signed by Dallas on a one-year deal. The team did not release details, as per policy, on the 'wayness' of the deal. CapGeek had confirmed by this morning that it is a two-way deal. Gaunce's long-term future in the organization is more than a little muddy now. Gaunce will qualify as a veteran under the AHL's veteran rule next season for the first time. Also qualifying for Texas and already under contract are Travis Morin and Maxime Fortunus. The signing of Gaunce puts an interesting question to the Stars' management. Where do you 'spend' your remaining veteran spots? The Stars already have two on defense but only one on offense. Does Texas get Derek Meech under contract to provide even more veteran savvy at the blue line? More important than signing another on defense is getting someone else on offense. It's not like Travis Morin is all alone in terms of skill, but his likely linemates, McKenzie and Ranford, are only second-year players. Both exceeded expectations in their rookie years and could suffer sophomore slumps. Where the Stars need more depth is veteran wingers. With the losses of Kevin Henderson, Colton Sceviour and Mike Hedden from last year's squad, there is talent but not a lot of experience on the wings. Next year's crop does not feature a single LW or RW with more than 76 games of regular season AHL experience. So who's out there? The top unsigned AHL winger is Aaron Palshuaj, according to the Citizen's Voice Free Agent Big Board. He also made $175,000 last season on contract to Carolina in Charlotte. Dallas is close to the NHL max on contracts (50), having used their most recent one to lockdown this year's top pick Julius Honka. This includes anticipated contracts for RFAs Dillon, Glennie, Roussel and Eakin. However, Honka's contract only counts if he plays in the professional ranks this year (in Europe or North America). I'm guessing the Texas Stars would ask for Dallas's assistance to meet a 175k price tag. Is Texas rolling the dice without more veteran forward clout? Long-time Texas Star Francis Wathier is still searching for his destination for the coming season. After being reassigned midseason by Dallas to Milwaukee, Wathier played out the season with the Admirals and now has hit free agency. I tweeted about our conversation earlier today on @100degreehockey, as you can read below. Wathier is the only remaining unrestricted free agent who played in Texas this season who has not found a destination for next season. Fortunus is signed to Texas. Chris Mueller and Cristopher Nilstorp will continue their careers elsewhere. Toby Petersen has retired. The bane of the shootout may be on its way out after the AHL made big changes to overtime format today. First, the league has lengthened the overtime period to seven minutes, instead of five. Further, to encourage scoring the final four minutes of the seven minute OT will be skated at 3-on-3. If no winner is determined, the shootout will still occur but is limited to just three skaters per team. The new rules also add a dry scrape of the ice to the pre-OT procedure and force the teams to switch sides. The 'long change' has been shown to increase offense in OT in the NCAA. "It revolves a lot around what the NHL wants to try," said Texas captain Maxime Fortunus via phone late Thursday. "They don't want to change the whole game." As Fortunus suggests, AHL rule changes often presage NHL rule changes. This one has to have everyone buzzing. With every point being crucial, this change puts more emphasis on the overtime period as opposed to the shootout. Theoretically, the lengthened OT, the move to three skaters per side in the final three minutes will increase the chances of the game being decided in overtime instead of a shootout. Unlike the Winter Classic games, which saw a whistle blow mid-play to change sides, the change from 4-on-4 to 3-on-3 will happen at the first whistle after the 3 minute mark of the OT. That could happen at 3:01 or at 6:59 depending on play. "I think that's a pretty good rule," added Fortunus. "3-on-3 hockey is the best. You get a lot of room. It'll be great for the fans and the players." One other interesting note is that if you've gotten used to watching thrilling home OT game winners from your "home team attacks twice" seats at the CPC, that won't be happening anymore. The switch of sides in OT will put all potential regular season OT wins on the zamboni entrance side of the ice. Two other changes were made as well. Automatic game misconducts will be handed out for players with two fighting majors in a game. This is a reduction from the previous three. Additionally, any player with three majors for the same infraction will also get a game misconduct. That's pretty rare though. 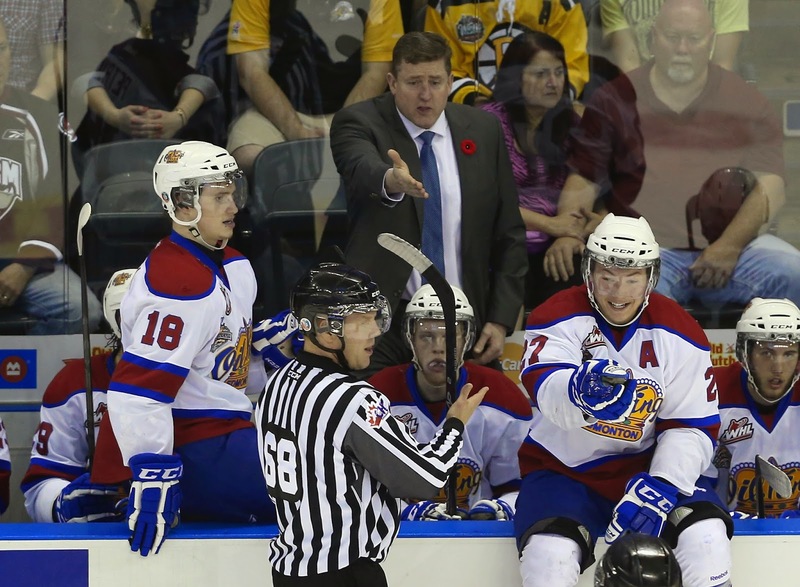 Finally, the 'no bucket' era is over in the AHL. Players who lose their helmet during play and do not immediately put it back on or exit the playing surface will receive a two-minute minor. It's a safety rule and it makes sense. It will be very interesting to see the interpretation of 'immediately exits the ice' applied in real-time though. Collecting a few stories here in one quick post. First of all, the Texas Stars made the hiring of Karl Taylor official yesterday afternoon, announcing that the Winterhawks assistant would be joining Derek Laxdal in Cedar Park next season. Laxdal's Oil Kings and Taylor's Winterhawks battled for the WHL championship in the finals this year. 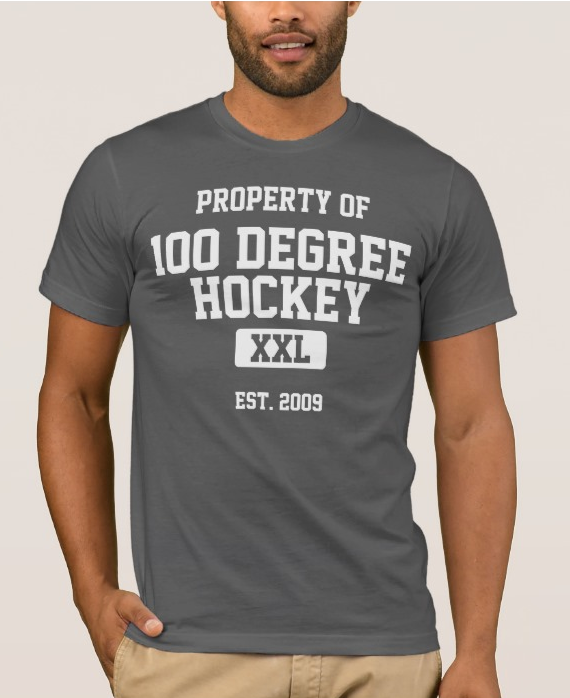 100 Degree Hockey first reported the expected and now confirmed hiring on Monday. Additionally, the AHL has announced the league's divisional format for next season. The Stars will once again see their division-mates change as Abbotsford departed British Columbia for Adirondack. The former Houston Aeros, now the Iowa Wild, join in their place, reuniting the short-lived South Division from 2012-13. The West's North Division members will never have to step foot on a plane to get to a divisional game with Adirondack in their division now. Nice setup. Adirondack, which is further East than about half the Eastern Conference, is in the West. It's a stopgap until things move West in 2015-16 for sure. In what might, at first, be a head-scratcher move, the Dallas Stars signed goalie Jussi Rynnas (RUNE-ahs) out of SM-liiga on a two-year deal. While terms were not disclosed, it is assumed this is a two-way deal. Those who have been around the game for a few years will remember the name as the one-time 'next big thing' for Toronto. He played three career NHL games with the Maple Leafs but has a 31-33-5 record with the Marlies over three seasons. He now returns to the AHL after playing last season in Finland. At first glance, it might seem to be a confusing deal. If Dallas Stars' GM Jim Nill wants Jack Campbell to be the bonafide #1 in Cedar Park, why sign a guy who could easily be a #1 himself? Quite simply, it's because Campbell will be in his first year as a professional #1. In case of injury to Campbell or elsewhere in the system above him, the team needs someone they can rely on to start games at this level. It's safe to say that Rynnas will not play more games than Campbell with Texas unless there is an injury to Lehtonen, Lindback or Campbell himself. Additionally, this move probably signals the end of Josh Robinson's time with the Texas Stars. "Robo" was looking for a solid AHL backup job and Dallas now has four goalies under contract filling up the potential backup spot he wanted. He will likely go elsewhere in the AHL, if not overseas. According to Gregg Drinnan, who writes about the WHL at Taking Note, reports that Portland Winterhawks assistant coach Karl Taylor is expected to leave the WHL and join the Texas Stars as assistant to Derek Laxdal. 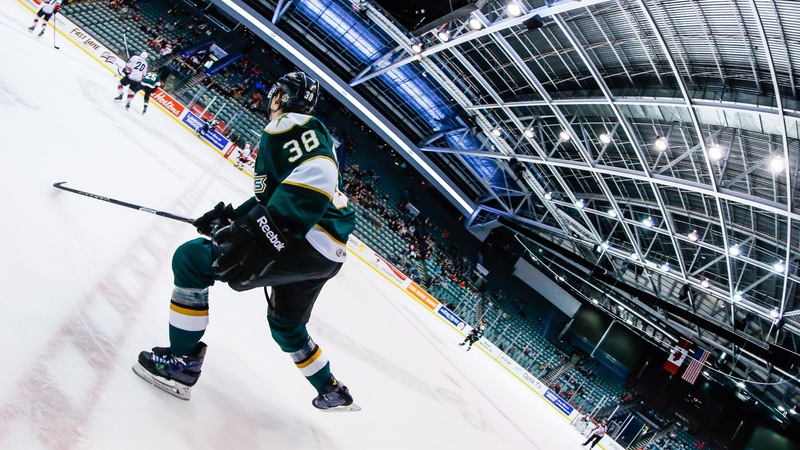 Taylor and Laxdal are very familiar with each other from time spent in the ECHL and the WHL. Taylor coached the Reading Royals from 2005-2008 and Ontario Reign from 2008-2011. He moved to assist with the AHL's Chicago Wolves in 2011-12. After taking a year off, he assisted with the Winterhawks as they went to their third straight WHL finals series against Laxdal's Oil Kings. No announcement is planned at this time. Lites: "Nothing teaches winning like winning." 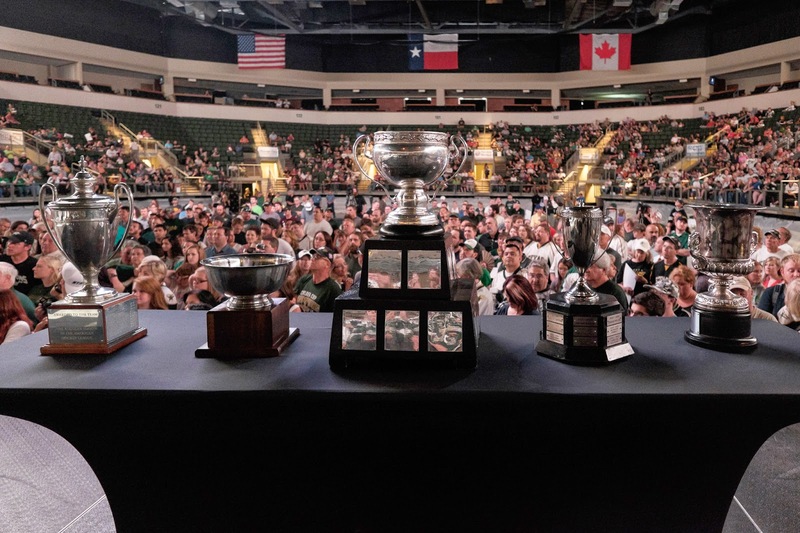 While there isn't a clear one-to-one relationship between Calder Cup and Stanley Cups, the Dallas Stars are definitely excited about what this season's championship means for the future of the entire organization. "I appreciate what this means," said Dallas Stars president Jim Lites. "I know what this means to have a great American Hockey League arrangement like Dallas has in Cedar Park. It's a testament to drafting and development." The value of the post-season run is huge in the eyes of the Dallas Stars. "Jim Nill and I believe that by playing twenty games with six in overtime, every faceoff matters. The pressure is on every player to have a great shift. It pushes your development forward at least half a season." Lites continued, highlighting the play of Radek Faksa. "If we hadn't made the playoffs, we wouldn't know what we had in Faksa. It's not like Willie [Desjardins] is an easy guy to come in and get a spot with. He wants to win every minute. To know Faksa comes in and gets major time, tells us he is pretty close to playing in our league. You learn that about guys that are tested here." Lites reiterated that the Dallas organization believes at least eight players on this year's team will play in the NHL and several "at really significant levels". The next piece is reloading for the coming season. 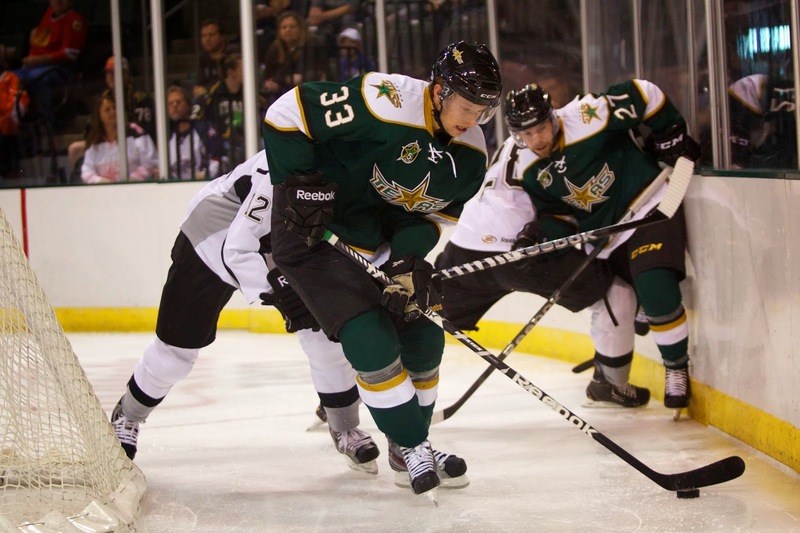 With so many Texas Stars having success this season, their stock has risen. From Coach Willie Desjardins leaving for the Canucks to top forwards Dustin Jeffrey and Chris Mueller parlaying their success into contracts elsewhere, it is a growing process. That does not even include the prospects of many younger Texas players heading up to join the Dallas club in the NHL. How many of the big pieces from this year's squad will remain in place next season? However, when asked about the future of the club, Lites is blunt and direct. He knows the value of the team being successful and states it outright. "Tom Gaglardi and Jim Nill will not let this team not be great. Nothing teaches winning like winning. We can't wait for next season." As the nation celebrates Independence Day, it seems like an apt time to look back at five years of players and pick the top 6 American-born Texas Stars in team history. Do you agree? On the tail end of his career, Minnesota-born Toby Petersen joined the club full-time last season and put in just under 100 total games in the regular season. Injuries cut short his postseason this year but he retires a champion after a 14 year career. He served as a great mentor for Dallas' younger prospects and could be headed to the coaching ranks soon. When I was first looking to compile this list, I hadn't realized how many games Michigan native Jack Campbell has played in with Texas. At 68 regular season contests, he is just 16 behind fellow American Richard Bachman. Last year he was a steady contributor and this season was hampered by injuries but blew away expectations when he was healthy with a 1.49 GAA and .942 SV%. He will have a chance to creep up this list with his #1 goalie role solidified next season. Recency and impact help to move Chris Mueller up the list after just one season in Cedar Park. The New York native put up 57 points in 60 games in the regular season and added 11 points in 19 playoff games. He was a fixture on the league's best power play, scoring 15 with the man advantage and assisting on many more. 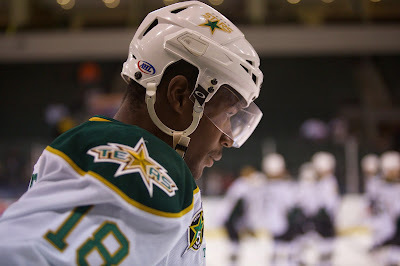 His 0.95 points-per-game average leads all Texas Stars all-time. He parlayed that success into a one-way deal with the New York Rangers next season. 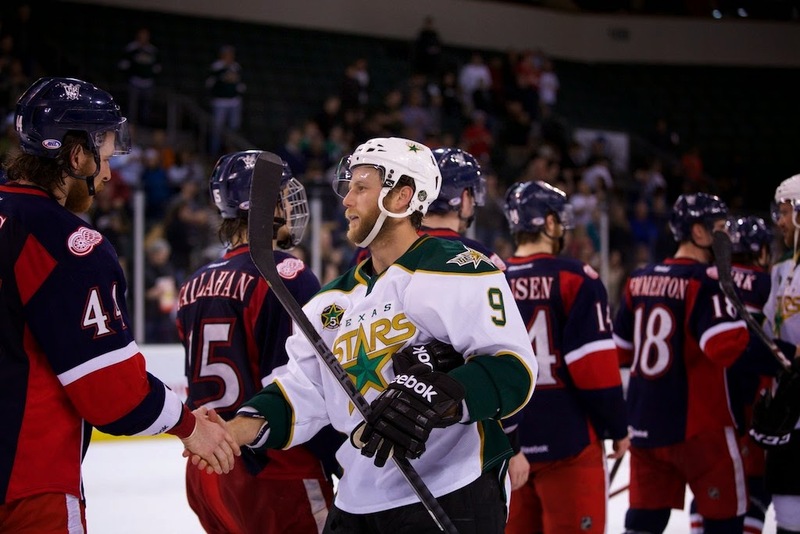 Salt Lake City's Richard Bachman has deep ties to the Texas Stars. He was drafted by the organization in 2006 and then joined the pro ranks the same year Texas got started. When Brent Krahn went down in the 2010 playoffs, Bachman backed up Matt Climie. Bachman would anchor the crease for Texas the coming season, posting a 2.20 GAA and taking Texas to playoffs against Milwaukee. 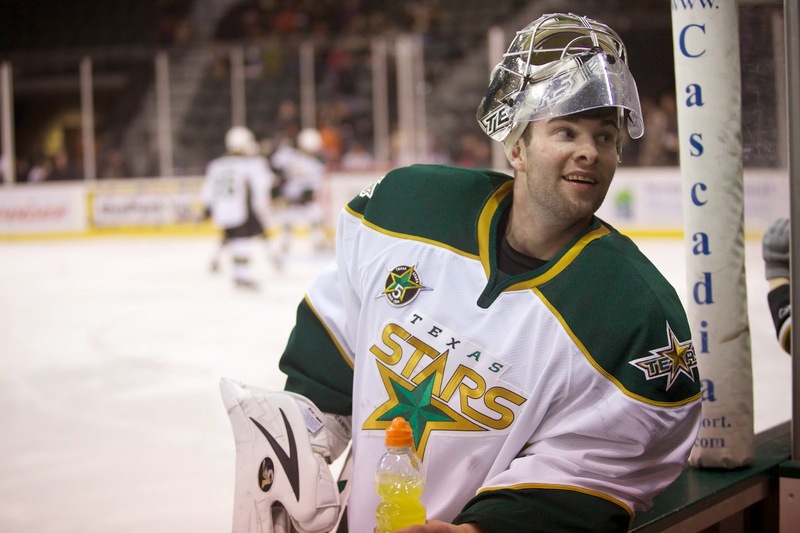 He was key to victory many nights as the defensive style of those Texas Stars demanded a lot of goaltending. That success sent him to Dallas where he beat out Andrew Raycroft and backed up Kari Lehtonen during a forgettable 2011-12 campaign for Texas. He was entrenched as the backup in Dallas in 2012-13 but fell out of favor and signed last year with the Oilers. He played many more games against Texas this season with the Barons, including all three in the first round of the Calder Cup playoffs. Coming into the 2009-10 season, Illinois-native Greg Rallo expected to suit up for the Idaho Steelheads the entire year. In fact, he had even bought a house in Boise. Scott White brought him in on a professional tryout, and he hasn't seen the ECHL since. With Texas, he was a big part of the success the first two seasons. He had 45 goals and 54 assists in 147 regular season games. He added four goals and eight assists in 30 playoffs games between the first two years. He was the right wing on the top line with Jamie Benn and Aaron Gagnon in the inaugural year. That success made him a great pickup for the Florida Panthers organization. He earned an NHL contract at 30 years old and has now played 11 games for the Panthers. He has also become captain of the San Antonio Rampage. It couldn't be anyone else, could it? The Brooklyn Park, Minnesota center is either first or second in almost every meaningful statistical category. Similar to Rallo, he came in on a PTO and made a name for himself, earning an NHL deal with Dallas after the inaugural year. He would probably have topped this list this time last season as well. This past season puts him in untouchable territory. After winning the AHL regular season and playoff MVP awards and leading the league in scoring, it's easy to say he's the best Texas Star ever (and certainly the best American). Others I might have left out to your chagrin: Dan Spang, Trevor Ludwig, Andrew Hutchinson. Coach Derek Laxdal is a busy man. After he flew back to Edmonton today, I managed to catch up with him briefly this afternoon. His next few weeks are looking hectic. He will be in Frisco for development camp the 10th and 11th and then will head to Austin to start looking for housing. "You're going from a really good situation to another really good situation. It's bittersweet sometimes. We've had some great years here but you have to challenge yourself. It's time to go do it." "You hear all the rumors at the end of the year. Once Willie moved on, there's a process involved where teams get in touch with you. I wasn't out looking for the job but Dallas did their due diligence looking for a coach. I interviewed at the draft, and I went yesterday to meet with Jim Nill and struck a [three-year] deal. "I left a good situation here, but it felt right. Jim Nill made me feel really comfortable and welcome. I have a relationship with Scott White from being affiliated and Les Jackson. It was pretty easy to figure out what I needed to do." "In Idaho, I had a good situation. I was in the running with Glen and they went with him. He had a very good first couple of years in Texas and went to the NHL. "For myself, it was a matter of going through the process to become a better coach. 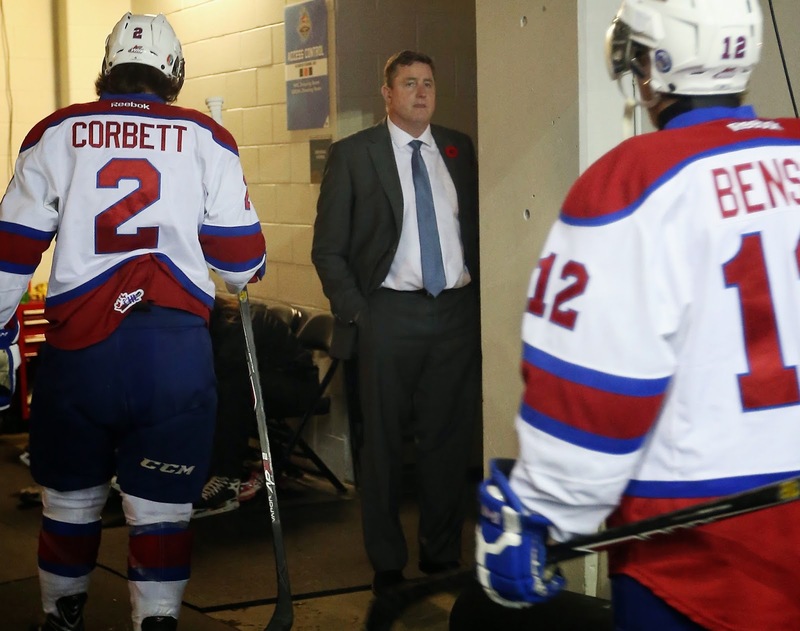 I left to go to the WHL because I've always had a passion to coach in the WHL. I went into a great situation. We won the championship twice and won the Memorial Cup as well. We were very fortunate and lucky to do some of the things we did. It made me a better coach in the long run and I will take what I learned here and hope to bring that knowledge to Texas." "He's bringing a confidence and leadership skills from Detroit that he has honed over the years with his experiences. We've seen the work that he's done here and I feel really comfortable going with him through this process. You can really see that he's going to be an important part of the success in Dallas. You can really see that your success comes from your leadership, and he's got great leadership skills." "There's always pressure in coaching. You have to believe in what you do and that you're doing it right. You think you've got pressure, come coach a junior hockey club in Edmonton. There's pressure there! You have to handle that because it's your job." "It was an old barn there. They've got a great setup there now. They have great fan support and it's one of the best places to coach in the AHL. It's a great AHL market, and it's a great farm team for the Dallas Stars. In Austin, [Dallas has] their pulse on the team, and they know exactly what's going on. They have a great model and a lot of great prospects coming through. It's only going to get better." "It's off the table now, and I just have to confirm that with Hockey Canada. I've just got so much going on with moving and all that, so it would be really tough to do that." "I'm a coach that plays structure and details. We're a team that plays defense first but isn't trapping. We defend well but when we have the puck we're going to go on offense, a little bit like Willie. He played a high tempo game. They were detailed and structured and hard to play against. My style should fit in well going into Texas." The Dallas Stars announced this morning that Derek Laxdal will be the fourth head coach of the Texas Stars. He succeeds Coach Willie Desjardins, who is now the head coach of the NHL's Vancouver Canucks. Laxdal was a highly sought-after coaching hire by many clubs, and it speaks volumes about what the Dallas Stars organization is building that he selected Texas. Laxdal, a Manitoba native, has a long history of success at multiple levels. His resume includes stints with the CHL's Wichita Thunder, ECHL's Idaho Steelheads, and most recently, WHL's Edmonton Oil Kings. He won the Kelly Cup with the Steelheads in 2007 and the Ed Chynoweth Cup twice with the Oil Kings. This year, Edmonton went on to win the Memorial Cup as well. All of this made him a hot commodity on the coaching circuit. "Derek has a proven track record of developing young players to get the most out of them in a winning environment," said Dallas Stars general manager Jim Nill. "His proven leadership, familiarity with our organization and tremendous character make him a great fit with our culture. 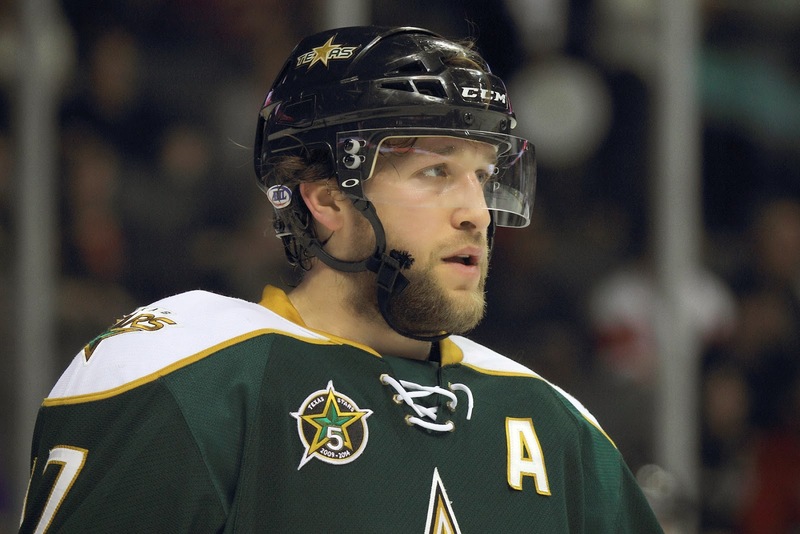 We are very excited to welcome him to the Texas Stars." Between the CHL, ECHL and WHL, Laxdal's teams have qualified for the playoffs in 11 of 12 seasons, posted better than a .600 record nine times and gone to the league finals five times. After his success this season, he was rumored to be connected to the Edmonton Oilers as an assistant coach and the Norfolk Admirals as head coach. Laxdal ended up waiting for the head coaching job that he had been a finalist for five years earlier. When the Texas Stars moved to Cedar Park, Laxdal was a finalist to move to the AHL with the new club after being the Steelheads head coach for four successful seasons. The Stars selected Glen Gulutzan instead and Laxdal later left the organization to lead the Edmonton Oil Kings. The familiarity that Laxdal has with the organization definitely helps his case as he gets started. To boot, he is also familiar with the state. In his playing days, he ended his career with the Odessa Jackalopes of the WPHL and later coached the CHL's Jackalopes and the Wichita Thunder. He made many trips to Austin as a player and a coach to go up against the Ice Bats in the late 90s and early 2000s. Before that, Laxdal was an NHL and AHL player. He was drafted by Toronto and ultimately played in 67 NHL games, compiling twelve goals and seven assists. He also played in Finland's SM-liiga and the British Hockey League and British Ice Hockey Superleague. All in all, this is the quality of hire that the Texas Stars have come to expect. The good feelings that Jim Nill has generated in Dallas, which pulled players like Jason Spezza, Alex Hemsky and Vernon Fiddler to the Metroplex, extends to central Texas as well. The organization has proven that it will put money where its mouth is on prospect development and truly values the contributions of the AHL club. In addition, two of the past three coaches are now in the NHL. That is what most have their eye on, and Texas now appears to have made itself a premier destination to do so. That bodes very, very well for the team long-term. One question unanswered here is the status of Doug Lidster. Most reports have him joining Desjardins' staff in Vancouver, but nothing is official yet. Assistant coaches are a lot harder to read the tea leaves on. Jim Nill and Derek Laxdal are expected to meet to discuss options soon. Laxdal will surely be in attendance at next week's development camp in Frisco. He will also likely coach the Stars at the Traverse City Prospects Tournament in September. It remains to be seen whether he will still coach the Canadian National team at the Ivan Hlinka Memorial Tournament in Europe in August. 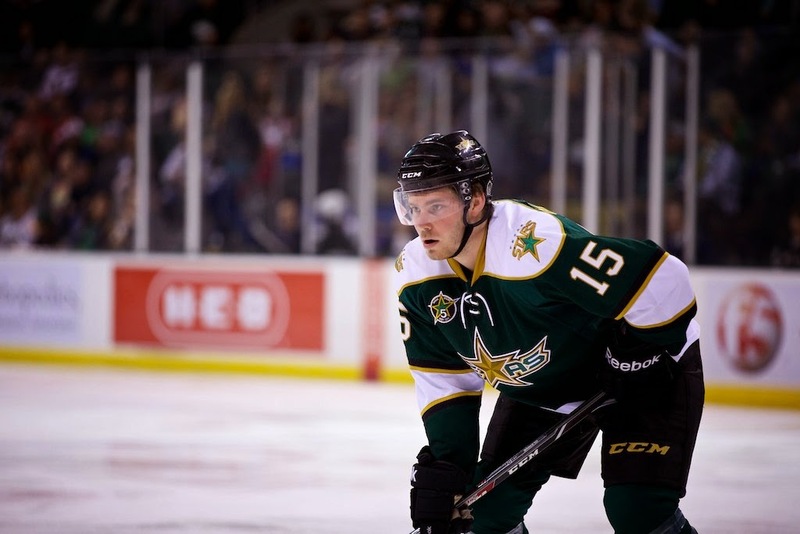 The Dallas Stars announced late Wednesday that Brendan Ranford has been signed to a three-year entry level contract. After starting the year on a PTO, Ranford became a key piece of the Texas Stars top line after the departure of Colton Sceviour. He established himself as a big time scoring threat against the top competition in the AHL throughout the playoffs, leading all rookies in goal scoring. Scott White, by his own admission, wasn't sure if Ranford would make the team out of camp. 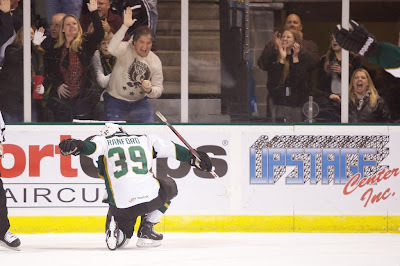 Ranford had signed an AHL two-year deal midseason this year that would have kept him a Texas Star in 2014-15. This deal supersedes that one. Aside from the excellent work on the part of Ranford himself to earn the contract, the deal also has a huge impact on the ability of Texas to attract solid talent. In the past year alone, players who have joined Texas on AHL-only deals have ended up with contracts in Dallas after showing their stuff in Cedar Park. Justin Dowling previously earned a two-year contract with Dallas as well after coming to Texas midseason last year on an AHL contract. The Texas Stars, proud American Hockey League affiliate of the Dallas Stars, announced today that Dallas has signed left wing Brendan Ranford to a three-year entry-level contract. Ranford, 22, made his professional debut in 2013-14, registering 33 points (12 goals, 21 assists) and a +10 plus-minus rating in 65 regular season contests with Texas. The native of Edmonton, Alberta ranked third on Texas with eight goals and 16 points (8-8=16), and posted a +7 rating in 21 postseason contests, helping Texas win the 2014 Calder Cup. Ranford's 16 points in the Calder Cup Playoffs led all AHL rookies. Prior to joining Texas, Ranford spent five seasons with the Kamloops Blazers of the Western Hockey League (WHL), amassing 357 points (137-220=357) and 298 penalty minutes in 348 career regular-season games. The winger currently ranks first on Kamloops’ all-time franchise leaderboard in games played (348), sixth in assists (220) and points (357), and seventh in goals (137). The 5-foot-10, 185-pound winger was originally drafted by Philadelphia in the seventh round (209th overall) of the 2010 NHL Draft. 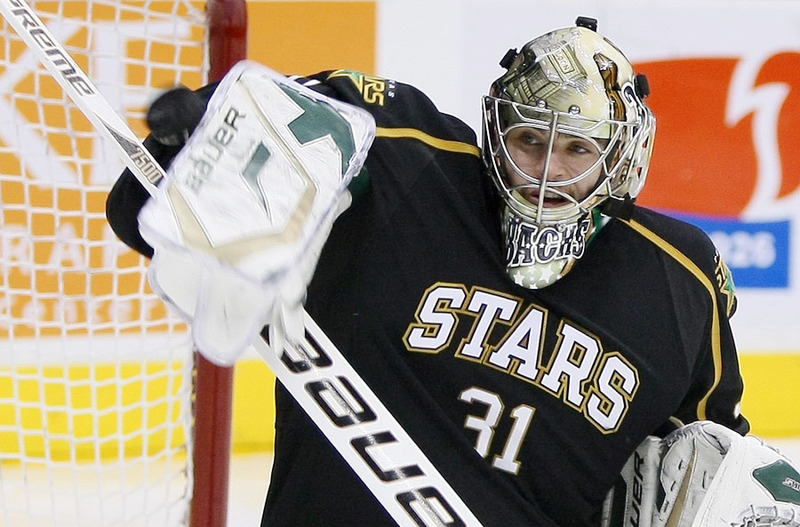 Still only one day into free agency but there are a few notable names for Texas Stars faithful who've come off the board. 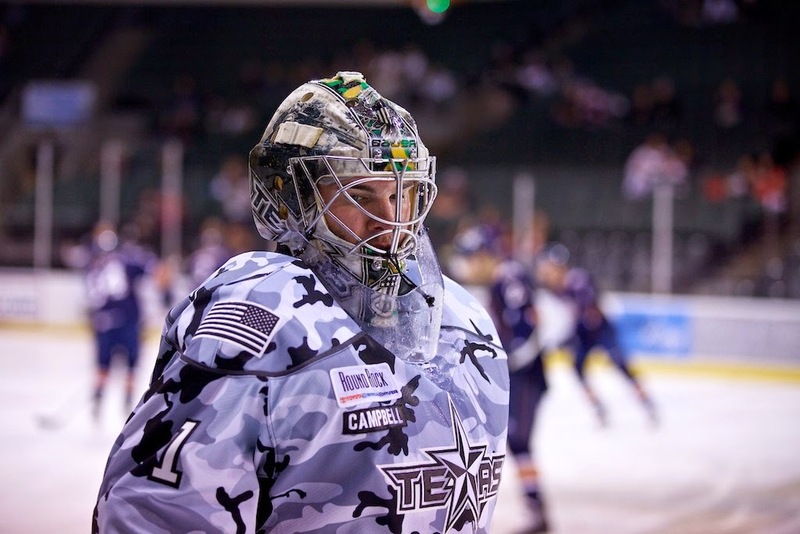 Anders Lindback joining Dallas solidifies the #1 position in Texas as Jack Campbell's. Dallas GM Jim Nill wants the American first-round pick to play a full season as #1 in Cedar Park. Chris Mueller parlayed an excellent season in Cedar Park into a contract with the New York Rangers, signed on the first day of free agency. Mueller leaves Texas as the highest points-per-game player in franchise history (57 points in 60 games). Best of luck to Mueller, who looks to have a chance at time with the Rangers instead of in Hartford. One-time Star and big-time Calder Finals performer Kael Mouillierat signed his first NHL deal with the Islanders yesterday after a big year with St. John's. The Islanders also picked up TJ Brennan, who had an otherworldly year for the Marlies. He might get time on Long Island this year with the Islanders' depth. Another playoff foe, Drew MacIntyre, is taking his talents to the Hurricanes. Based on depth there, he could be the Checkers #1 next season, which means the Stars could see him eight times this year. Taylor Fedun, who has played in OKC for several years now, is heading out to the Pacific. He's signed in San Jose, where he will likely be doing the shuttle to Worcester more than a few times this season. Al Montoya and Dan Ellis look to battle for the backup job behind Roberto Luongo. The loser will be the #1 for the San Antonio Rampage, sharing time with Michael Houser in the Alamo City. Joel Rechlicz looks to be headed to Iowa after signing with the Minnesota Wild on a two-way today. The "Wrecker" is a physical presence but has just nine points in his entire seven-year pro career. Now former Texas Stars Alex Guptill and Alex Chiasson will both be suiting up in the Eastern Conference this coming season. They have been traded along with Nicholas Paul and a 2nd round pick in next year's draft for Ottawa's Jason Spezza and Ludwig Karlsson. Spezza figures to be Dallas's hard-sought second center. Karlsson is a Swedish left winger who is likely to split time between Texas and Idaho next season. The emergence of Brett Ritchie made Alex Chiasson an expendable part for the Dallas brain trust. They play similar games, but I feel Ritchie has a greater upside. 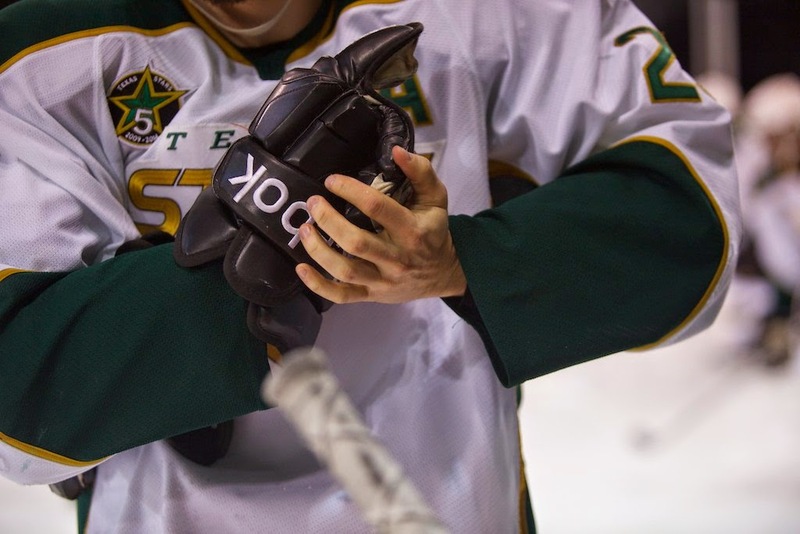 Texas fans didn't get much chance to see what Alex Guptill had to bring in a Texas Stars sweater during his ATO. He will start the year in Binghamton next season. All in all, it's not as big an effect on the Texas roster as last year's big center trade that saw Texas lose Reilly Smith, Matt Fraser and Joe Morrow. The free agent frenzy starts shortly for the National Hockey League. After compliance buyouts and unqualified RFAs yesterday, there are a huge number of players available on the market for teams to grab starting today at 11 AM Central. Dallas is in on a few of the big players and maybe a few others. However, the Texas Stars shouldn't expect anything that will affect their lineup until later in the week. The biggest NHL free agent add that the Texas Stars saw last year was Chris Mueller. The versatile center set a new team record for point per game with 57 points in 60 regular season games this season. The NHL two-way deal, which saw Mueller become the highest paid AHL contract in Texas Stars history, was not signed until July 8th. If Texas thinks that they can keep a player like Chris Mueller, he is definitely a priority at the AHL level. However, his contract won't be looked at until after Dallas settles their concerns at 2C, if they can get in on any of the possible trades for Spezza or Thornton or somehow sign Paul Stastny. Long story short: Barring a trade, don't expect huge changes to the Texas Stars lineup with the names flying off the board today.